While there was a ceasefire for a week several movies have been made of units operating alongside the border. Here they are. In an earlier report we have similar videos and fighting going on at the Chervonopartyzansk border crossing. 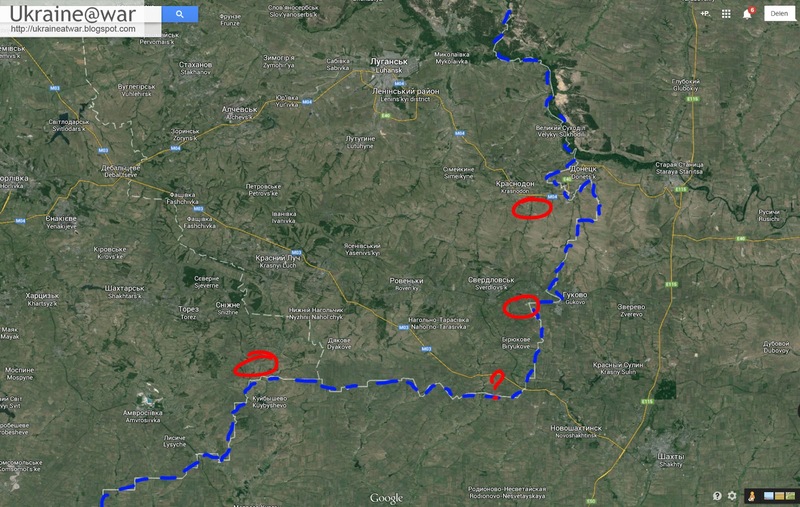 No units have been spotted near the Dolzhanskyi border crossing (at the question mark), but it is likely that one would be there too. 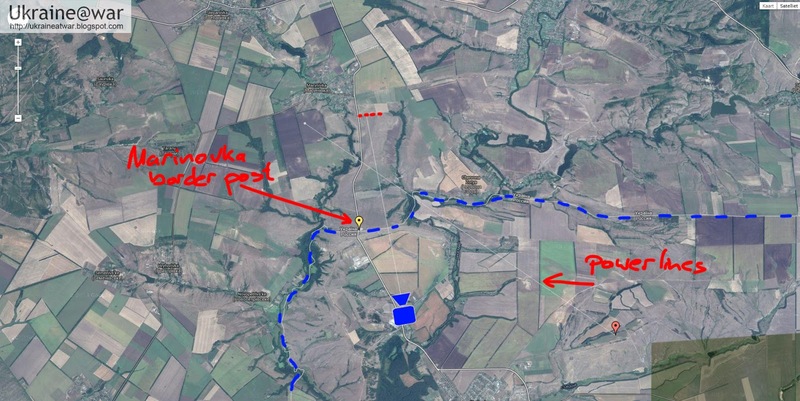 Especially the Krasnodon/Izvaryne area is problematic. 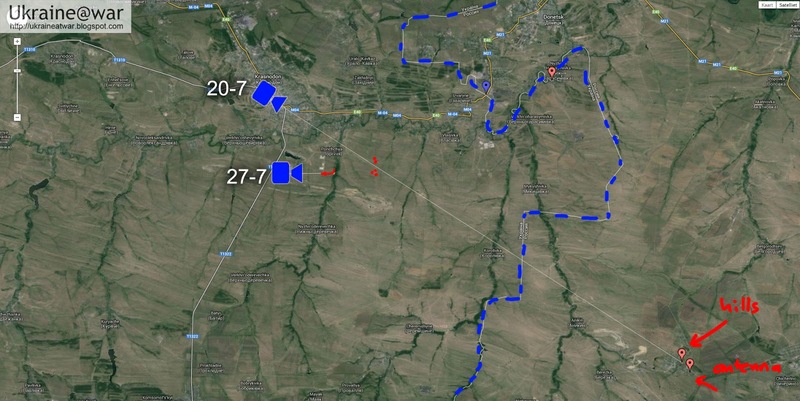 On June 20th 30 vehicles crossed that border in the very early morning when it was still dark WHILE the Ukrainian army was in the area. On June 27th locals have spotted even some more vehicles crossing the border. The Ukrainian army is making a real good effort in trying to close the borders with at least three substantial forces patrolling the areas. But it is not enough to close the gaps yet. Yes, it is another video near Marinovka published June 28th. Thanks.